Pretty much. It's sort of like those onsies people wear to hockey games. The feet and gloves are all part of it. I didn't get any kind of mask or helmet. I'm not going to contact them about a return, shipping would be on me and probably cost me most of the $46.00 that they probably won't refund anyways. Maybe I just got a dud. I mean the reviews are all good. Surely they can't fake those. Lol now I’m more anxious to see what they do for me. I ordered the Kylo so I’m guessing a onesie as well. If it’s trash I’m gonna return it. I’ll save on shipping by crushing it into a smaller box. Lol. 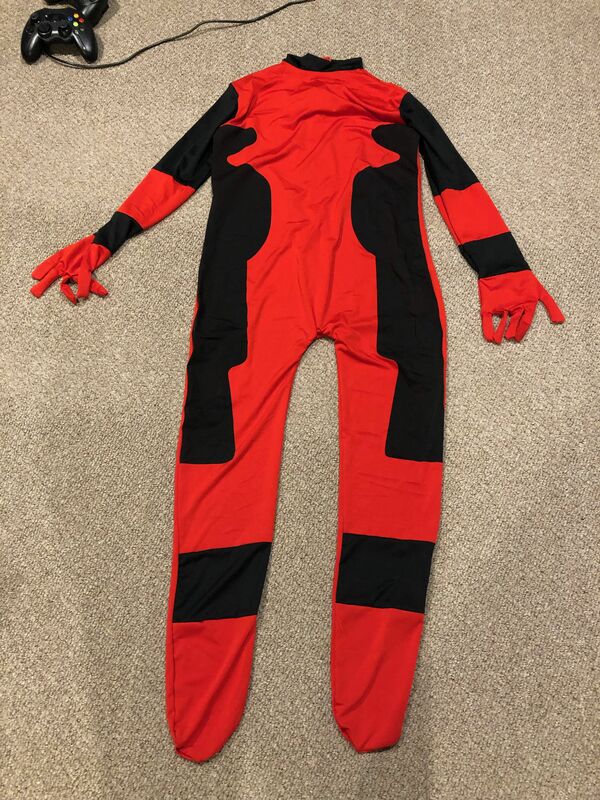 This is now like a competition- who can get the crappiest “costume” (pajamas) from this seller? You guys should post the pics as you get them. I mean the reviews are all good. Surely they can't fake those. I’ll post one tomorrow. Maybe I’m just nitpicking. I’ll let you guys decide. Actually they can, and have. If you look closely, all of them were posted within a 3 day period, (red flag # 1). The "reviewers" have names like Jordan, David, etc. but if you read them, the language (syntax, gramar, spelling and punctuation) are obviously not from anyone whose primary language is English. The person(s) who own the site have obviously made those up, and would not add any negative ones. 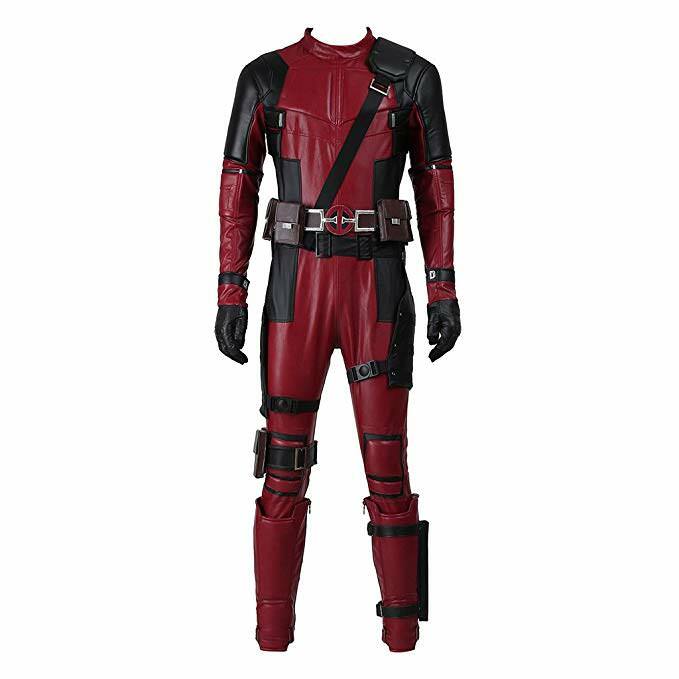 Also, shipping alone for a costume that size would be considerably more than the inclusive price they are charging. They count on people not wanting to return them because of the return shipping costs and hoops you have to jump through. At that price, they figure most people will be like "Well, it was only 30-50 bucks, so it's not worth the hassle". This way they can continue to rip people off. I think the owner of the site outsourced the review writing to my fourth-grade students. So wait... everything on the internet isn’t true? Best reply ever. Truly Dave, you are new to the ways of the Interwebs. Alas, the world will not let you stay that way, but on the plus that is what this site was created for - transparent information. Just google (or bing) how to game Amazon reviews and let your eyes be opened. I'm guessing that I misunderstood "durable PU Leather,top notch quality fabric has been used with outstanding craftsmanship,highly durable, comfortable and easy to wear." I thought PU leather would mean Leather like or leather look. I guess PU stands for pee-yew. I also misunderstood, "Including: A jumpsuit+ Gloves+ Belt + Helmet + shoes"
Maybe I got the deluxe version where they were able to combine all of those elements into one item? I'm also sensing that sarcasm doesn't come across on message boards very well. Nope, looks the same to me. Dude your way to nit pickey. That’s spot on and even in time for the movie rerelease. Your gonna look awesome wearing that to the show. I’m getting excited for Frank’s big Kylo reveal! I ordered it late September/early October thinking I would get it for Halloween. I think they claim 72 hour shipping. Anyways it was closer to two months. I’m starting to think these aren’t the most truthful people to deal with. Lol, I guess I’ll get mine in the end of January then. It’s shipped and it went through the China post office on 11/28 but it’s got no further updates. Why did you post the same picture twice? Looks﻿ like it’ll be an e﻿arly Christmas for me, package should be here this weeken﻿d..